Flea Market Transportation Optimization | A Continuous Lean. Not sure who this fine piece of American metal belongs to, but I sure was jealous when I saw it in the flea market parking lot in Connecticut this weekend. 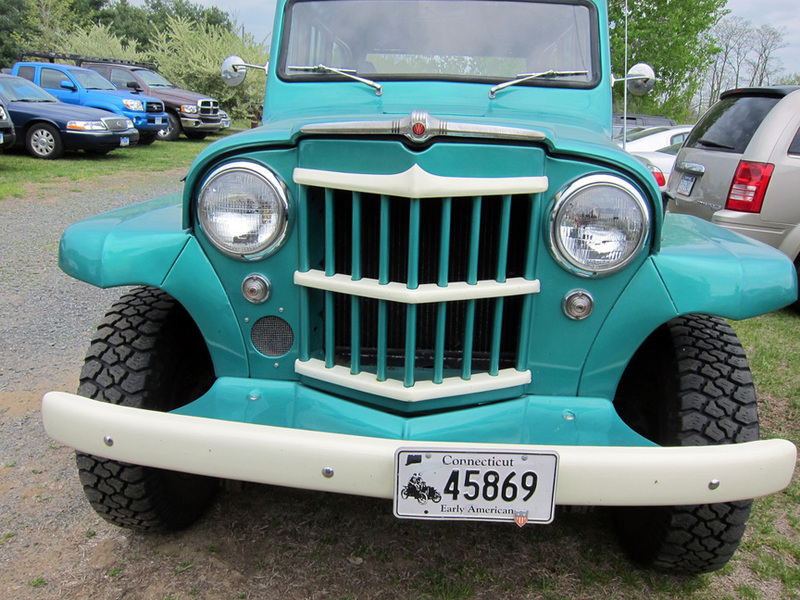 The pride of Toledo, that is one good looking Willys Overland in the most vintage of colors. I bet Martha Stewart would have cut a check for it on the spot. Well, If I had the kind of dough she does I would have. If only the cars made today could maintain the sense of style….nice find!!!!!! Can’t begin to figure out which part of it is my favorite. Any idea what year this is? My buddy in high school had a ’46 and it was quite a bit of fun in the summer but looked nothing like this. hmmm, pretty cool color, but i’d rather have an old Range Rover Defender. Sweet Ride! That is the type of vehicle that I want, maybe with a vintage Airstream hooked to the back, for some real old-fashioned family holidays. Wow, what I wouldn’t give to hop in that and take off to the mountains, cool find! Someone loves this vehicle. I’ve yet to see one so straight and rust-free, certainly a rare find. And it’s obvious that the owner is not too fussyâ€”looks like she’s got some dirt under her fingernails, though I doubt this Willys sees any action off the pavement besides the unpaved farm roads. ouch! locking hubs and everything. 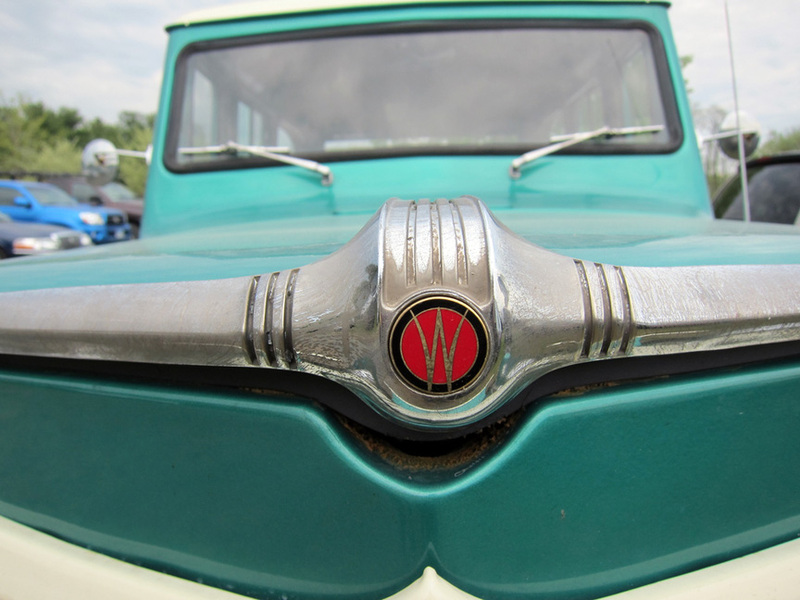 Willys Wagon…..speaks for itself……..character with character….enuff said. I’m restoring a ’46 Willys right now-a CJ2A. They certainly do have style to spare, but let’s look at the other side of these vehicles: A normal cruising speed of about 45 mph. Brakes that are barely adequate for modern traffic. Tiny little taillights, and anemic 6 Volt electrics. The turn signals are your arm. Usually vacuum wipers that slow down to a crawl when you accelerate,and flap madly when you let off the gas. The interior is all steel,with a thicket of shift levers on the floor-don’t get in a wreck. 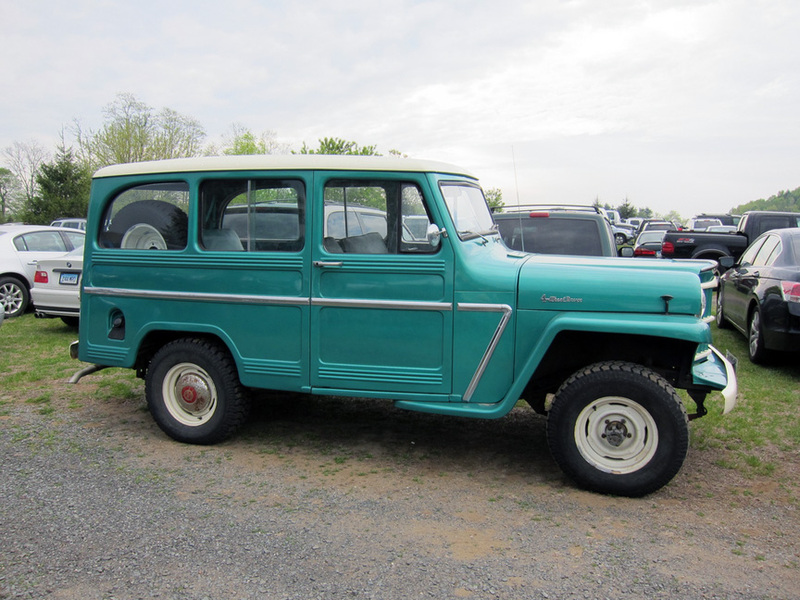 That said, I’d grab this Willys in a heartbeat,too. RE; Doug. Actually the stock and original brakes can be made to work better than new. It is all about properly tuning them, and having the drums turned and the shoes arched to match. Spot on with all the other stuff. I actually like the fact the the inside is all steel. What flea market in connecticut were you at? With some hidden work, these vehicles can out-perform off-the-lot modern cars and still look amazing. For my ideal pairing with this truck, check this out. Sorry, it appears that my link did not work correctly … damn modern technology! looks like a 473 from 1950. nice truck. 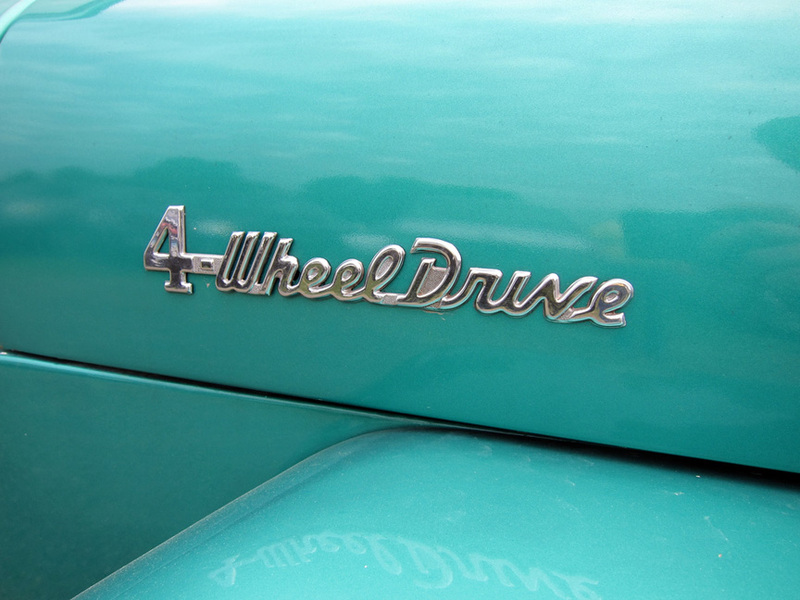 in my opinion, 49-53 were the best years for cars or trucks. anyone who complains about the primitive nature of early model cars should shut up and get back into their honda. I like the International Travelall you found better. 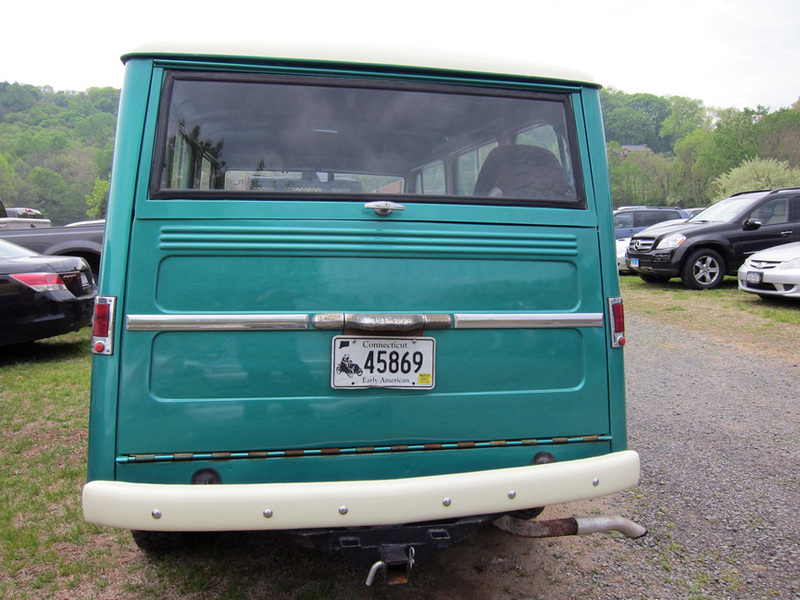 easiest way to date one of these cars is the front and rear windows–split panes means older. 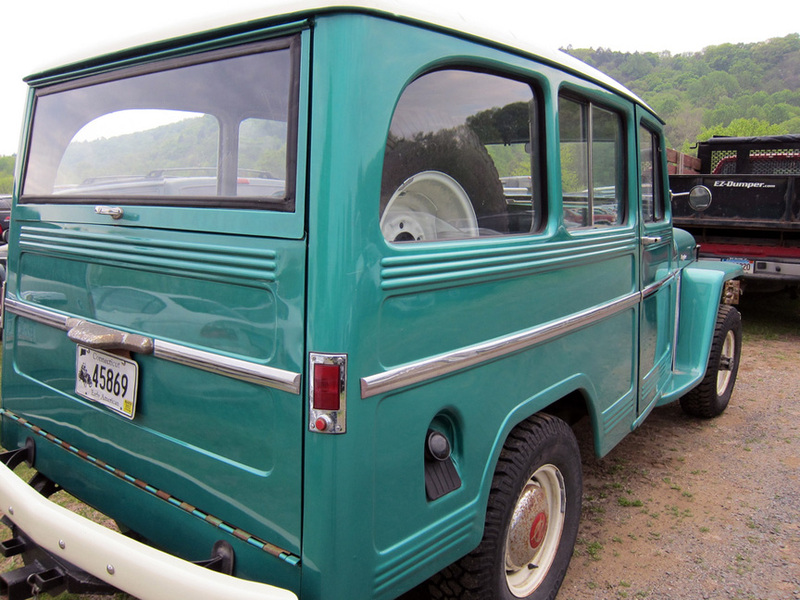 I have 2 of these and a garage full of parts in VT waiting on a father son restoration project….if I had the time. The other amazing part about these cars is the battleship grey/coral pink paint color combo–pure vintage. OH I so want one of these things. We were vacationing in Santa Barbara when I saw my first one. I nearly hugged it. 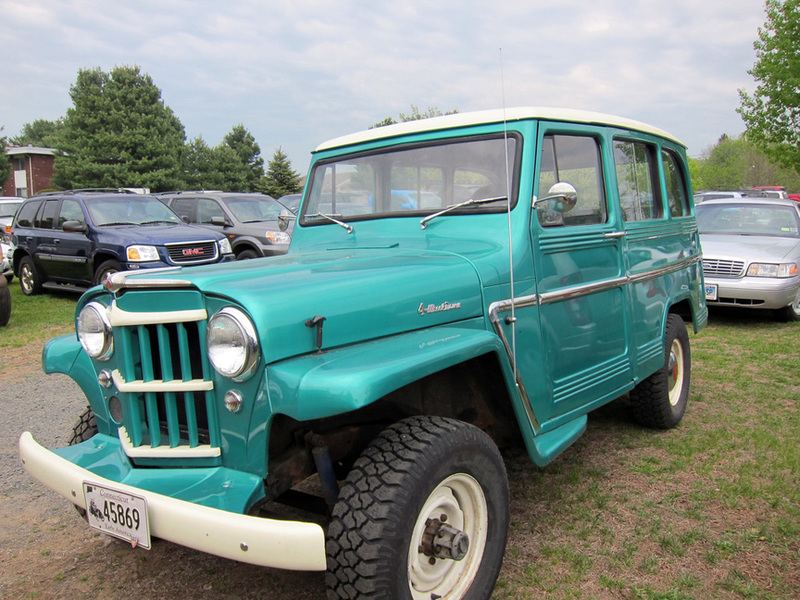 It was the Jeepster convertible, like this one but with a red interior. Nice! Now, go find me an International Harvester.